Department for Transport research concludes that over 553,000 hours per month are spent on the road by unlicensed drivers. Industry statistics show that nearly one in three drivers covering business mileage have penalty points on their licence. Every day drivers’ licences are revoked – with or without their knowledge. The photo card driving licence introduced in 1998 has a ten year validity. In our experience, over 80% of drivers holding these licences are unaware that they expire. Safedrive’s solution is a secure, fully-managed driving licence verification service delivering online results to driver enquiries directly from the DVLA database. The system verifies an individual driving licence record and status, with enquiry results delivered at customer level in a secure, web based application that provides a comprehensive range of reports and summaries of any action required. To improve organisational efficiency, speed, and accuracy, the entire process is delivered online. Knowing that all of your employees have valid and legal driving licences helps you start off on the right foot when it comes to safety on the roads. Safedrive sets up a dashboard for your managers that highlights important fleet information in real time, identifies ‘at risk’ drivers, reduces your administration and, most of all, accurately validates each Driver Number against the DVLA database. 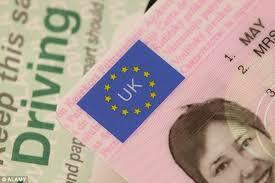 A process that fulfills your Duty of Care obligations, Driving Licence Validation is a service that helps to ensure that insurance policies in place remain valid for both driver and employer. We’re here to help you minimise the headaches of managing and controlling the risks associated with work related driving. Prices will depend on volume. If you require further information, or are interested in receiving a quotation, please contact Safedrive on 01952 298990. Alternatively, you can visit Contact page or email us here.